This project is supported by European Commission Framework Program 6 (FP6) in its part of infrastructure enhancement under contract 515906. ALMA Band 5 Receiver Cartridge Development and Production is assigned as WP2 in this project. European Southern Observatory is the main fund recipient and is responsible for the entire Project. 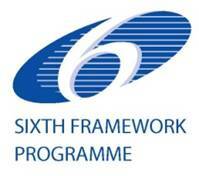 ALMA Band 5 is a European Commission (EC) Framework Program 6 (FP6) infrastructure enhancement project aiming at the development and design of a prototype receiver cartridge fulfilling specifications of ALMA Band 5. After the prototype cartridge is accepted, the project considers supplying 6 production cartridges for the ALMA Project for integration into the ALMA frontend receiver. Group for Advanced Receiver Development, OSO, Chalmers University, is responsible for cold cartridge assembly (CCA). STFC Rutherford Appleton Laboratory, UK, are our partners in the ALMA Band 5 project and responsible for development of the Band 5 warm cartridge assembly (WCA) and the local oscillator (LO) sources. V. Belitsky, B. Billade, V. Desmaris, D. Dochev, S.-E. Ferm, M. Fredrixon, I. Lapkin, D. Meledin, O. Nyström, A. Pavolotsky, H. Rashid, M. Strandberg, E. Sundin – all are with the Group for Advanced Receiver Development (GARD), Department of Radio and Space Science and Onsala Space Observatory, Chalmers University of Technology, SE 412 96, Gothenburg, Sweden. D. Henke is currently with the NRC Herzberg Institute of Astrophysics, (NRC-HIA), 5071 West Saanich Road, Victoria, British Columbia, Canada V9E 2E7. R. Finger is with the Departamento de Astronomía, Universidad de Chile, Casilla 36-D, Santiago, Chile. J. Kooi is with the CSO, California Institute of Technology, Pasadena, CA, USA. NEW: ALMA Band 5 Production Cartridge #1 has been delivered (November 2010) to ALMA EIC, Rutherford Appleton Laboratory, UK. 1. B. Billade, I. Lapkin, R. Monje, A. Pavolotsky, V. Vassilev, J. Kooi, and V. Belitsky, “ALMA Band 5 (163-211 GHz) Sideband Separating Mixer Design”, Proceedings of the 19th International Symposium on Space Terahertz Technology, pp. 250-252, Groningen, April 28-30, 2008. 2. M. Whale, N. Trappe, I. Lapkin, V. Belitsky, “Physical Optics Analysis of the ALMA Band 5 Front End Optics”, Proceedings of the 19th International Symposium on Space Terahertz Technology, pp. 368 – 372, Groningen, April 28-30, 2008. 3. V. Belitsky, I. Lapkin, B. Billade, E. Sundin, A. Pavolotsky, D. Meledin, V. Desmaris, M. Strandberg, R. Finger, O. Nyström, M. Fredrixon, S.-E. Ferm, H. Rashid, D. Henke, ”Prototype ALMA Band 5 Cartridge: Design and Performance”, Proceedings of the 20th International Symposium on Space Terahertz Technology, Charlottesville, USA, April 20-22, 2009. 4. Bhushan Billade, Victor Belitsky, Alexey Pavolotsky, Igor Lapkin, Jacob Kooi, “ALMA Band 5 (163-211 GHz) Sideband Separation Mixer Design”, Abstract in the Proceedings of the 20th International Symposium on Space Terahertz Technology, Charlottesville, USA, April 20-22, 2009. 5. M. Strandberg, I. Lapkin, V. Belitsky, A. Pavolotsky, S.-E. Ferm, “Analysis, Simulation and Design of Cryogenic Systems for ALMA Band 5 Prototype Cartridge”, to be published in the Proceedings of the 20th International Symposium on Space Terahertz Technology, Charlottesville, USA, April 20-22, 2009. 6. V. Belitsky , B. Billade, V. Desmaris, D. Dochev, M. Fredrixon, S.-E. Ferm, G. Johnsen, I. Lapkin, D. Meledin, O. Nyström, A. Pavolotsky, H. Rashid, E. Sundin, M. Strandberg, ”Design and Performance of ALMA Band 5 Receiver Cartridge”, Proceedings of 35th International Conference on Infrared, Millimeter and Terahertz Waves, Tu-P.84, ISBN 978-1-4244-6656-6, Rome, Italy, September 5 – 10, 2010. Visit GARD web-page http://www.chalmers.se/rss/EN/research/research-groups/advanced-receiver & http://gard04.rss.chalmers.se/ .